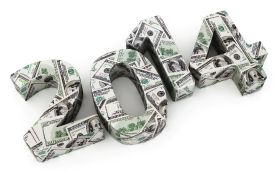 News from LMCU: Have any New Year’s investment resolutions? Have any New Year’s investment resolutions? Everyone’s portfolio needs a periodic re-think, to make sure their investment choices still meet specific goals and needs. The beginning of a new year is a great time to take stock of what you have, and consider ways to make it work harder for you. What worked in the past might not be the best choice going forward. Schedule an appointment today with a Lake Michigan Investment Services advisor, to make sure you’re really making the most of what you have. Call us at (616 or 800) 242-9790 ext. 6301 or go online at lmcu.org/investments.